In an effort to show that the U.S. follows international law and that it is not willing to allow provocative military actions, the USS William P. Lawrence sailed just 12 miles apart from one of China’s recently-built artificial islands. The area is currently being claimed by China, Malaysia, Taiwan, Vietnam, Philippines and Brunei. Three Chinese fighter jets were scrambled in order to watch over the U.S. maritime destroyer; three Chinese ships were also deployed in order to force the Navy vessel to leave. According to spokesman Lu Kang, U.S. actions are a threat towards China’s sovereignty, regional peace and stability. Tensions rise amid the denial by Chinese authorities of allowing USS John C. Stennis to perform a routine port call in Hong Kong last month. China has established claims over most of the South China Sea as the Asian superpower decided to build 7 artificial islands over the past two years. Most of these islands sport military facilities, which leads U.S. officials to believe that China is aiming towards securing the maritime and aerial transit of the region. China’s argument is that they want to improve safety and navigation for all parties. Problems arise due to Philippines’ new president, Rodrigo Duterte, wanting to claim back the disputed territories of the South China Sea, by sailing on a jet ski and personally “planting a Filipino flag” on the isles. The Philippines has already issued a case with the Court of Arbitration at The Hague, regarding the real limits of China’s territorial sea. According to major Chinese news publication Xinhua, Duterte’s stance while in campaign was alongside China’s interests, but once he became elected with an “unsurpassable number of votes,” he leaned towards a more nationalist agenda, becoming involved in territorial disputes. Reportedly, the United States does not support any of these territorial claims, but rather adheres to international law, specifically the United Nations Convention on the Law of the Sea, which establishes that sovereignty extends for up to 12 nautical miles from shore. “This operation demonstrates, as President Obama has stated, that the United States will fly, sail, and operate wherever international law allows. That is as true in the South China Sea as in other places around the globe,” Pentagon spokesman Commander Bill Urban stated. 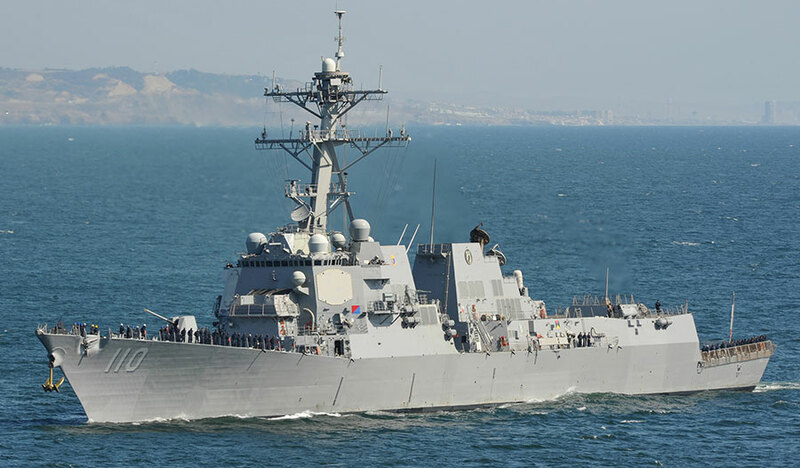 According to officials, the USS William P. Lawrence was not developing military maneuvers and it followed international maritime law all the way through the procedure, but without any sort of permission from China.